I’ve always loved RPG magazines. I rarely played D&D but I had a subscription to both Dungeon and Dragon for almost their entire run. I pick up The Unspeakable Oath whenever it actually comes out and I even enjoy flipping through the odd White Dwarf even though I’ve never played Warhammer. As a journalist and a gamer, I guess I just like articles on gaming. However, I often forget to pick up Kobold Quarterly. This is for three reasons. The first is that as it is quarterly, it often slips my mind. The second is that I don’t play Pathfinder (and I only know two people that do), so many of the articles aren’t of use to me even though I would probably enjoy reading them. The third is think I’m still burned from the fact that when Open Design makes a bad product, it is almost terrible beyond words. The Red Eye of Azathoth was one of the worst adventures for Call of Cthulhu I’ve ever had the misfortune of reading for example. It was so god awful that I actually swore off Open Design products for some time. It was THAT bad. However, I picked up Kobold Quarterly #21 in the spring to read and I found it to be fun for what it was, so here I am with my second issue of KQ in a row (It’s been a long time since that happened). 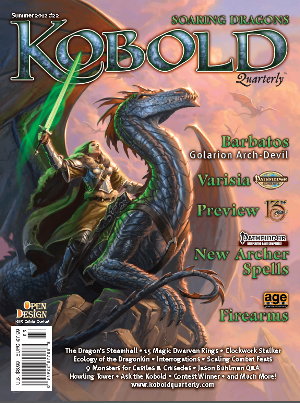 Is Kobold Quarterly #22 worth picking up? Let’s find out. The first two things you will notice about Kobold Quarterly #22 are unfortunately negative ones. They are the sticker price and the insane amount of ads in the magazine. Nine bucks for an eighty-four page magazine is a bit pricey, but six dollars for the PDF form is almost borderline insane, especially when you compare what else you can get for that amount of money off of sites like RPGNow.com or DriveThruRPG. The second issue I had with the magazine is the sheer plethora of ads. Out of eighty-four pages, which includes the cover, a whopping TWENTY-SEVEN pages are ads. That’s nearly a full third of the magazine. I could understand the cover price if this was ad free because there are a lot of writers (some with very big names) to pay, but that many ads plus the cover price? That’s just unacceptable to me. Thankfully the content of the magazine is pretty decent. It’s almost all Pathfinder, but that’s not by choice. In fact the first piece of content in the magazine (found after three full pages of ads and the table of contents) is an editorial about how non-Pathfinder articles are drying up and that they’d like to have more. At least they’re addressing the spread issue. After all, the old White Wolf Magazine covered more than V:TM and Open Design is trying to which is something I greatly respect. Now let’s do a quick look at the articles. Barbatos: Gatekeeper of Golarion’s Hells. This was a great first article to start off with and I especially liked the artwork, even though Barbatos looks like a cross between Cthulhu and a D&D Druid. 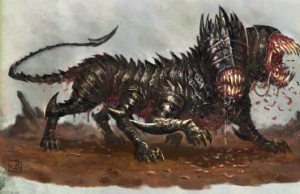 It’s a fun look at one of the most powerful sources of evil in the Pathfinder universe. My only complaint is Barbatos is listed as Lawful Evil but the description of him is clearly Chaotic Evil. I did like that the article ended with some new monsters and an avatar of Barbatos for players to encounter. 1 for 1. Dragonkin: The Wheroti Empire’s Legions. 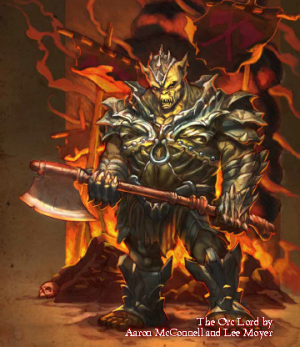 This is an article for 4th Edition Dungeons & Dragons and gives players an option to replace the Dragonborn race with something somewhat similar, but with new racial powers, abilities and utilities. I know the magazine is hurting for D&D 4e articles, but I don’t see the point with replacing one race with something that’s 95% the same. The only time that has ever worked was Kenders for Halflings in Dragonlance. Decidely unimpressed here. 1 for 2. 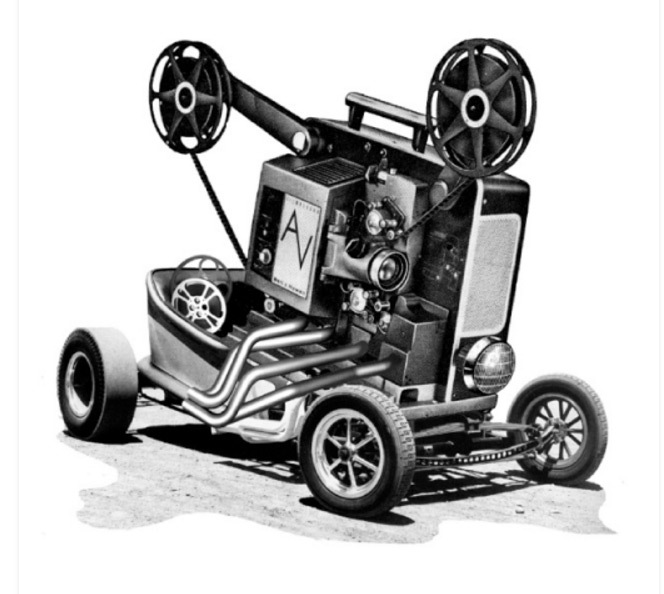 Monsters of Morphoi: A Sneak Peak at Journeys to the West. If you read my tabletop reviews, than you probably know I review a lot of Castles & Crusades products. As such, I’m happy to see an article devoted to the system. This article converts a bit of Journeys to the West, a Kickstarter funded Pathfinder project to the C&C system. I’m not sure how smart or useful it is that they are doing articles converting the book to C&C before it’s actually out, but you do get four monsters to surprise your C&C players with. So checks and balances. There are no plans to do the whole JttW sourcebook with Castles & Crusades mechanics, so the article ends up feeling a bit nonsensical and useless. I appreciate that they did a C&C article, but it should be one fans of that system can probably get more use out of. 1 for 3. Blood Brothers. This article is about a new Rogue archetype by the same name. It’s meant to be an homage to the tandem thieving duos of classic fantasy stories. Unfortunately they only really have one to go off of: Fafhrd and the Grey Mouser. They try to use Gimli and Legolas as an example but I’m pretty sure one would be a warrior and the other a ranger – not two rogues. There are some interesting abilities to be gained from this quasi-class, but it just seems like it would be too much work to make it function properly in a game. What if one character loses a level (or more!) to energy drain? What if a player can’t make it to that week’s session and thus the other Blood Brother can’t use any of his abilities? What if one dies and can’t be resurrected? The whole concept sounds like a neat idea, but if it doesn’t actually work on paper, it’s definitely not going to work in practice. 1 for 4. Game Theories: The GM’s Influence on Character. Monte Cook’s little essay is by far the best thing in this issue. There are two points that Monte is trying to make here and I agree with both of them. A character raised to 5th level from scratch is always more interesting and has a better backstory than one who starts at 5th level. 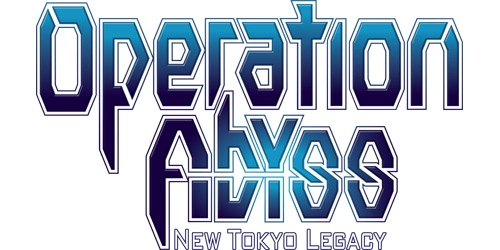 The second point is that the best characters are co-raised by the player and GM. The character who works his way up from Level One gets story hooks, encounters, and life changing events from both the GM and player. Together, the two (and the other members of their gaming group) create a memorable character. This is an article well worth reading. It’s not worth the cover price by itself, but it’s a damn good read. 2 for 5. The Escalation Die. This is basically a preview for the new system, The 13th Age. It’s a streamlined d20 system (according to the article). Instead of previewing the world or system as a whole, the writer of the article, Rob Heinsoo, instead gives you a specific mechanic and shows you how to apply it to other games. I thought that was a very clever way to introduce the concept of “the escalation die,” but the whole concept either falls apart completely or adds a whole new level of combat depending what game you are playing or how your friends engage in combat. Basically, you start the escalation die at 0 on the first round. The next round the die is at 1, the third round, the die is at 2 and so on. The die basically gives players a bonus to attack rolls based on what number is show, up to a maximum of +6. The idea behind this is that it mimics movies or books where the heroes start out getting hammered but come from behind to win. The problem is that most gamers will find this idea novel AT FIRST, but then quick grow sick of it. Not every battle should be an uphill struggle with a bonus for intestinal fortitude. Some battles need to be a cakewalk while others need to be nigh unwinnable and force the characters to retreat. Perhaps the concept will work better in The 13th Age but the whole concept just sounded stupid and gimmicky to me. Half the fun of combat in an RPG is that things are random and brutal to both sides. 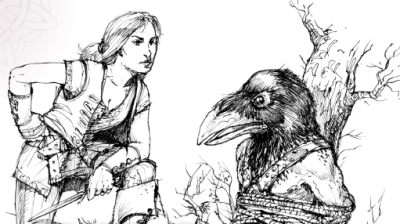 Look at first edition D&D and AD&D – the two games that have spawned a legion of OSR homages. I was further pessimistic about the concept with how Rob tried to shoehorn it into Pathfinder and other systems. It just left me cold. About the only system where it seems liked it might actually work was Fung Shui. Overall, it was an interesting article, but if anything, it convinced me NOT to pick up 13th Age, which is probably the opposite effect Rob was looking for. 2 for 6. Elven Archer Magic. This is pretty cut and dry. 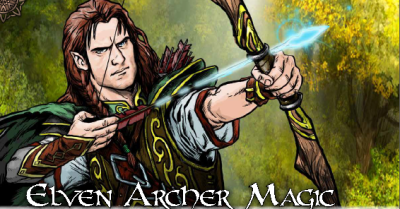 It’s some new spells for the Elven Archer class in Pathfinder, which debuted in issue #20. I’m not sure why they needed an Elven Archer class to begin with, but the article itself provides some nice spells. There are twenty spells in all, from 1st to 4th level. It’s nicely done, it complements the class and it also provides info for druids, clerics, and rangers to use some of these as well. 3 for 7. Howling Party: Total Party Kill or Total Buzz Kill?. This is my second favorite article in the issue. It talks about what to do when you do indeed have a Total Party Kill (everyone dies) situation along with the pros and cons of fudging your die rolls to keep PCs alive. I completely agree with the author that fudging dice rolls should be exceedingly rare as RPGs are as much about luck and the rolls you get as anything else. Otherwise it’d be a diceless game. My personal choice is not to fudge the roll but to on rare occasions fudge the result. For example, I once had a person new to Call of Cthulhu try to walk down a rickety old staircase in the dark with two loaded and primed sawed off shotguns. He botched his roll as badly as you could in the game and fell down the stairs. I gave him a luck roll to see if his guns went off and he failed that too. The resulting damage would have killed him and then some, but as it was his first CoC game and two characters were doctors with a high med score, I dropped him to 0 hit points and had him lose an arm. The player learned a valuable lesson about how different CoC is from hack and slash fantasy games and the character went on to live through several more adventures before retiring. The article gives you over a dozen things to do in a TPK situation, and all of them are excellent. Definitely worth reading. 4 for 8. Weapons For a New Age: Three Black Powder Variants. This is basically a set of three guns (Arquebus, Musket, and Pistol) for the Dragon Age. You also get three new talents and two new magical items. It’s a cute little hodgepodge of things and although I don’t really play Age games all that much (I’d rather play Dragon Age the video game than Dragon Age the tabletop game), adding black powder to the fame adds a new level to combat. 5 for 9. Kobold Diplomacy: What’s Right For the Game. This is an interview with Jason Bulmahn, Lead Designer for Pathfinder. It’s a little rambly and there isn’t here that we haven’t heard before. The interview basically ends up being a discussion on the history of Pathfinder. It reads more like a commercial than an interview and since the VAST majority of KQ readers are Pathfinder players, it’s a bit like preaching to the choir. Pass. 5 for 10. From the Mines. This is a letter column for the magazine. These are always a joy and I’m glad to see KQ still prints mail. I’m especially impressed they printed the letter that takes them to task for the editing/typographical and spelling errors that the magazine has had for a while. I’m even more impressed that in answering the letter the staff admitted the magazine has had a few issues in terms of quality and that they will try to address it. 6 for 11. Ask the Kobold. This is basically the old “Sage Advice” column from Dragon, albeit much shorter. This issue they look at what happens when a Druid and their companion animal split up. Not a real issue that will occur for many players, but it’s nice to highlight a very big rule gaffe like this. 7 for 12. Hold ‘Em For Questioning. This is an odd little article that I enjoyed quite a bit. It looks at how different alignments engaging in questions captives as well as how said captives respond or deal with such a situation. It also contains seven d20 tables to use to see how NPC captives react when PCs put them in this situation. Tables probably aren’t needed as a good GM would roleplay through this instead of randomize, but still a fun article. 8 for 13. Dwarven Magical Rings. The title says it all. This article contains fifteen new magical rings, all of which are made by Dwarves, to use in a Pathfinder campaign. I’m not sure why they included an emphasis on the rings being made by dwarves in the title, as they are all fairly generic and nowhere in the crafting requirements does it say they have to be made by dwarves. I can’t really say any of the rings interested me and I can’t see too many of them being used. 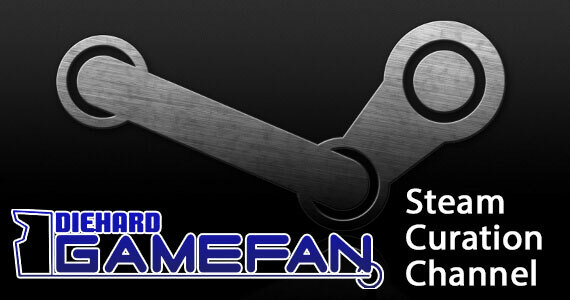 Forgettable and generic. 8 for 14. The Scaled Steamhall. The four pages of this article are devoted to a spa/bathhouse that offers some magical and powerful treatments for characters. I love that an old school grid based map was included, but the location, premise and the ability to purchase things like dragon mounts was way too over the top for me. This entire location feels like it was written for a Monty Haul campaign and I hate those. 8 for 15. Book Reviews. Yuck. Not only could these two pages be put to better use, but the reviews are between three and five paragraphs long. That’s not a review – that’s a quick summation and of no benefit to readers or the product in question. Worse yet, if you are going to review novels for a magazine about role playing games, stick to novels about RPG settings. The reviews were little more than fanboy fapping rather than a critical analysis of the book and all of them had errors that shouldn’t have made it past even a young inexperienced editor. Ugh. 8 for 16. A Pathfinder Society Guide to Varisia. This is a nice in-depth guide to a region playable in a Pathfinder game. There’s a ton of detail and nicely illustrated map to boot. I’d have liked it to be a little more in-depth, but there’s only so much you can do with three pages. 9 for 17. The Void of Veles. This is a one page article at the tail end of the magazine talking about the Midgard setting. It’s very random and all over the place and as such, it’s hard to follow what the point of it is. It feels like Kobold Quarterly just had an extra page to will and so they threw a bit of rambling together and used it to close out the magazine. 9 for 18. …and there we go. Only about the half the articles in this issue of Kobold Quarterly are worth your time. There are a few superb pieces in issue #22, but for the most part, unless you have a subscription or a free copy of the magazine, I’d pass. The quality of content just isn’t there, especially when you look at both the cover price and the fact a third of the magazine is ads. KQ could do better and definitely has in the past, but the team behind it seems to be stuck in a holding pattern of mediocrity. Thumbs in the middle here.